Indulgence by Irene Co has a line of different types of cheesecakes that are all of high quality and are very well made. 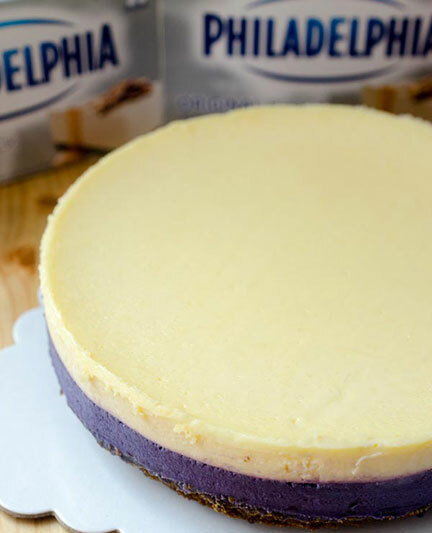 My current favorite is the Quezo de Bola-Ube Duo combination cheesecake. I was able to try it at a recent family celebration where it was served for dessert. 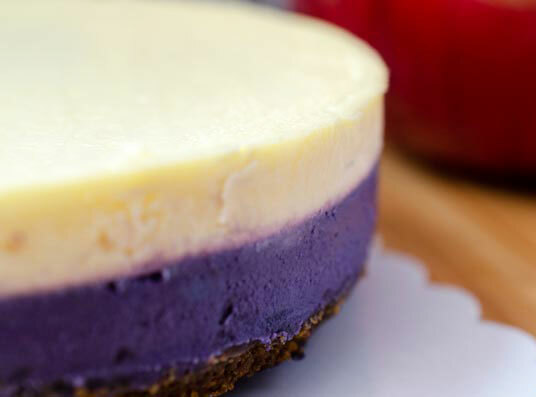 There are two equal layers of QDB and Ube set on a crumbly flavorful Graham crust. I like that the flavors are well defined on their own, and are synergistic as well. I liked to experiment eating a bite out each layer separately and then, trying them all together. The consistency of the cream cheese is wonderfully dense and it surprisingly is not at all cloying. Next time you have a hankering for an excellent cheesecake, give Irene a call and order away. I am sure that you will not be disappointed. Other flavors one can try are Coffee with Bailey’s, Halo- Halo, Tablea, Chocnut and Calamansi. For complete pricing and details click here. Photos courtesy of Richard Co.